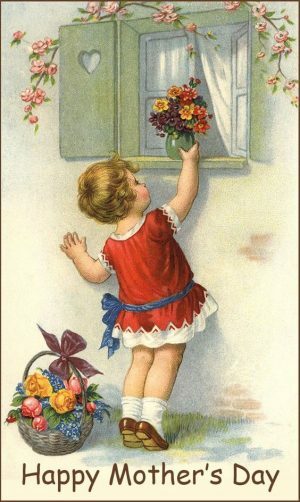 No matter what you give her, your mother is going to love it, because she loves you! But of course you want to get her a gift as unique and special as she is. Show her your appreciation by giving her a present she’ll treasure. Discover unique Mother’s Day gifts at The Vermont Country Store, whether you’re shopping for Mom, Grandma, or another woman you hold dear. Does she like flowers? Skip the dozen roses; give her the 10,600 jasmine flowers and 28 dozen May roses contained in a bottle of Joy Eau de Toilette. Is she always looking for something in her purse? 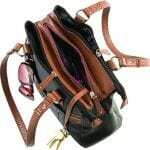 Help her get organized, with a Stone Mountain Greenwich Satchel. Made from the finest leather using centuries-old tannery techniques developed here in New England, this smart-looking purse is loaded with handy compartments and pockets. 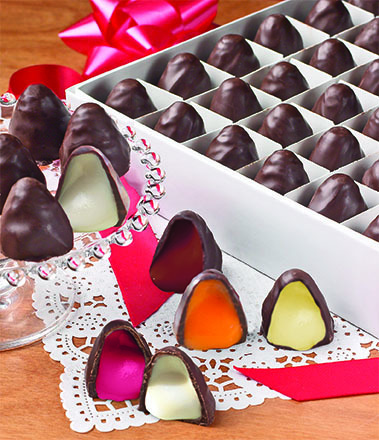 Chocolate-Covered Creams have been favorites in our store for 70 years. Is she a chocolate fan? 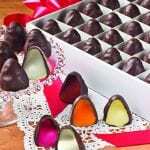 The good stuff is now known to be heart-healthy, so treat her to the best chocolates: Orton Copper Kettle Fudge, Guittard Nonpareils, Chocolate-Covered Creams, or Anthon Berg Liqueur-Filled Chocolates. If you’re lucky, she’ll pass the box around so you can have a few, too. Does she enjoy trying new scents? Mom will be thrilled with our handmade, triple-milled soap sampler. Each gift-boxed set contains either three or six all-natural scented soaps that nourish the skin and produce abundant lather, right down to the tiniest sliver. Does she sing and hum to herself? 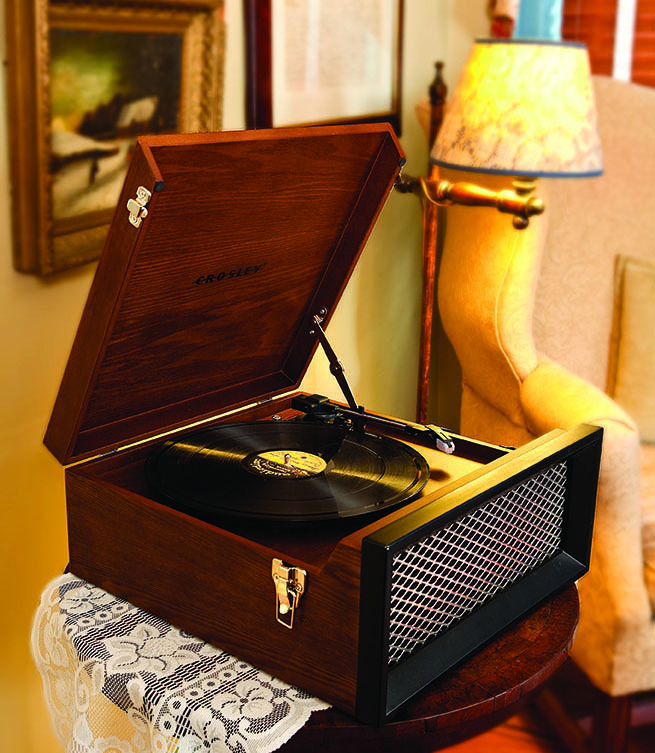 Give her something to sing and hum along with: an original Crosley Record Player. 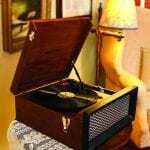 Crafted of furniture-quality wood, this handsome player has a chrome mesh grill, full-range stereo speakers and a diamond-tipped precision needle stylus. Be sure to help dust off all her favorite records; it plays at 33-1/3, 45, 78 rpm. Is she fond of beautiful sleepwear? Look no further than our Eileen West Sleepwear Collection for an exclusive assortment of nightgowns, bathrobes and pajamas embellished with ribbon, lace, pintucks and pretty prints, all from the world-famous designer. Need more ideas? From classic makeup, long-lost fragrances and beautiful sleepwear to hard-to-find home goods and gourmet goodies, you’ll find dozens more unique Mother’s Day gifts here.